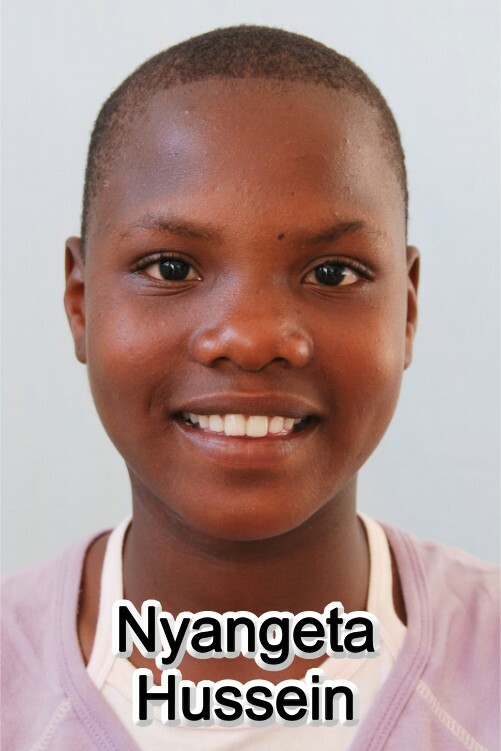 Nyangeta used to live with her mother who later died when she was about seven years old. She stayed at her grandmother who was alcoholic and used to beat Nyangeta every time she was drunk. One day Nyangeta just at home she got stung by what is believed to a snake or thorn. No one cared about taking her to the hospital until she was severely hurt. Her sister stayed with Nyangeta in the Hospital and one day she told her that she was going to the toilet and disappeared completely. It is said that she is a bar maid. The nurses and doctors in Magu hospital took care of her until her limb was amputated and consulted the social office in Magu. The social officer contacted Bethany if they could take Nyangeta into their care and Bethany agreed to admit her. Nyangeta has been a happy girl especially when she recovered from a big wound and got an artificial leg. She can go to school, play some game and walk well. She has lots of friends at Bethany, she works hard and her behavior is very good.